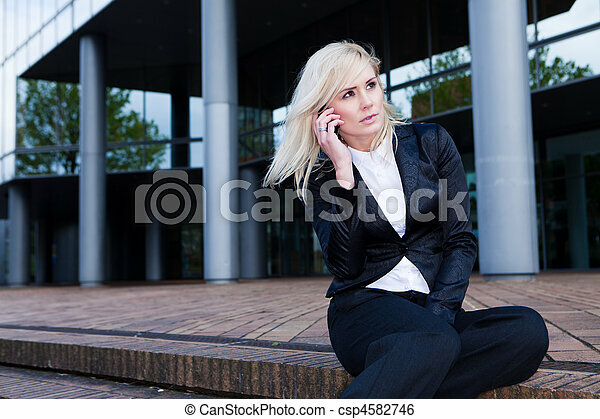 Beautiful business woman on the phone at modern building. 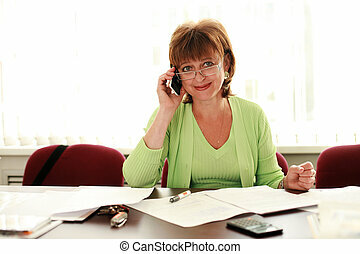 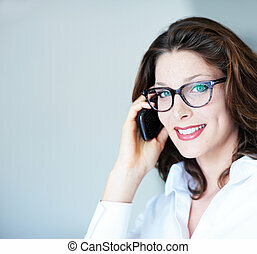 Smiling business woman on the phone. 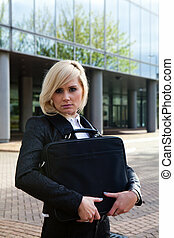 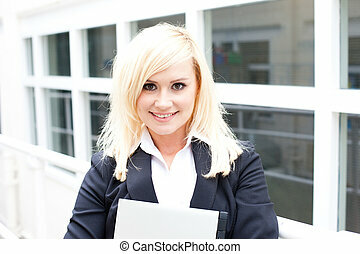 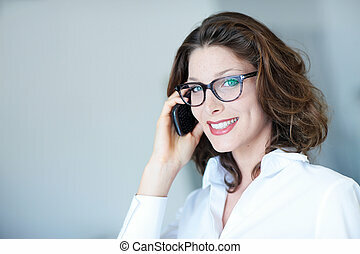 Young business woman wearing glasses using elevator at office. 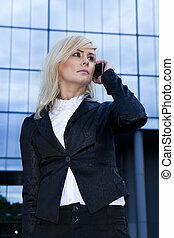 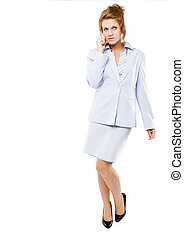 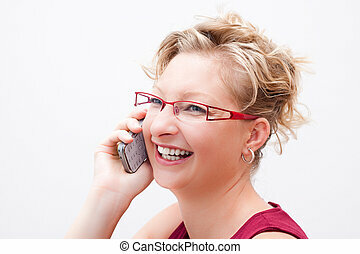 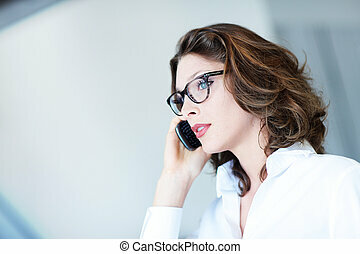 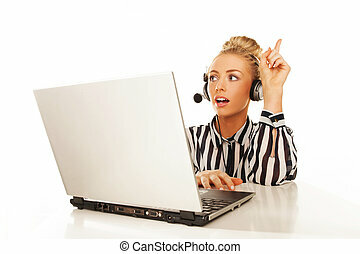 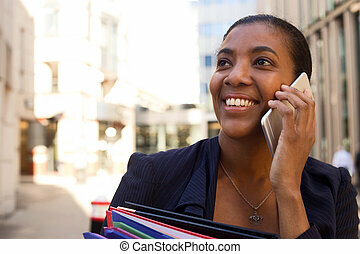 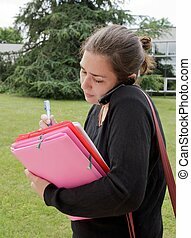 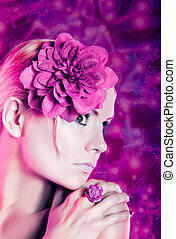 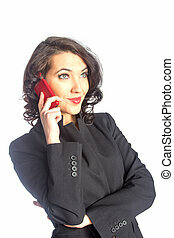 Business woman speaking on her cell phone; isolated on white background.